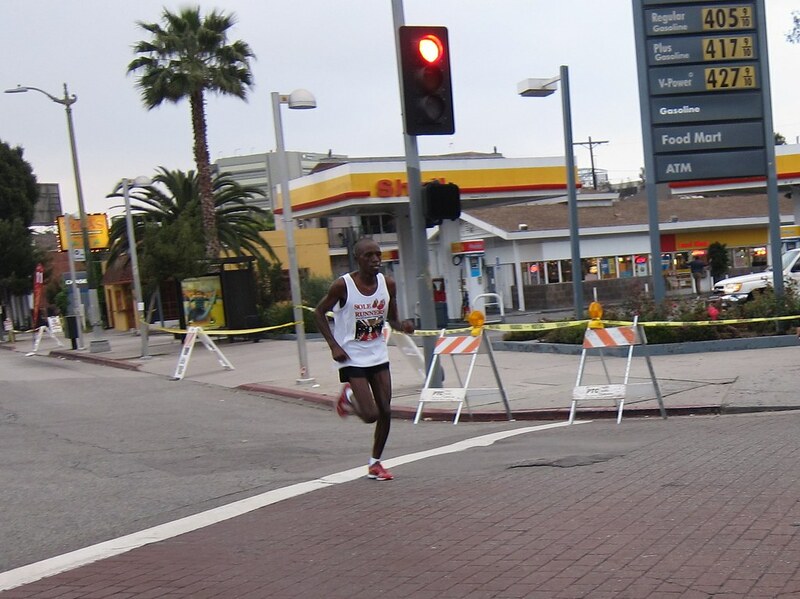 The Green Girl and her friend, Benson Cheruiyot, spent the Green Girl's pre-birthday weekend running the Hollywood Half Marathon. 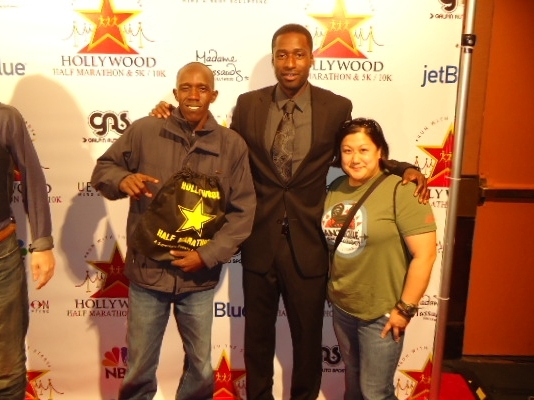 The event benefited the Los Angeles Youth Network, an organization that reaches out to homeless youth. We ran the inaugural race last year and Benson had finished second overall. 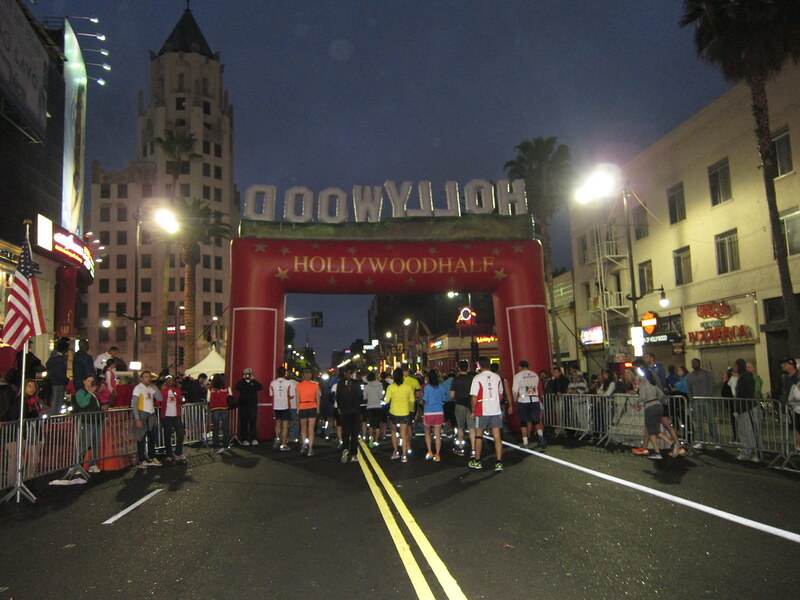 The course started near the intersection of Hollywood and Highland and ended at Hollywood and Vine. The morning air was comfortable - not too hot and not too cold. I cheered Benson and our other friend, Philemon Terer, at the elite start and then headed to my corral to prepare for the wave start. 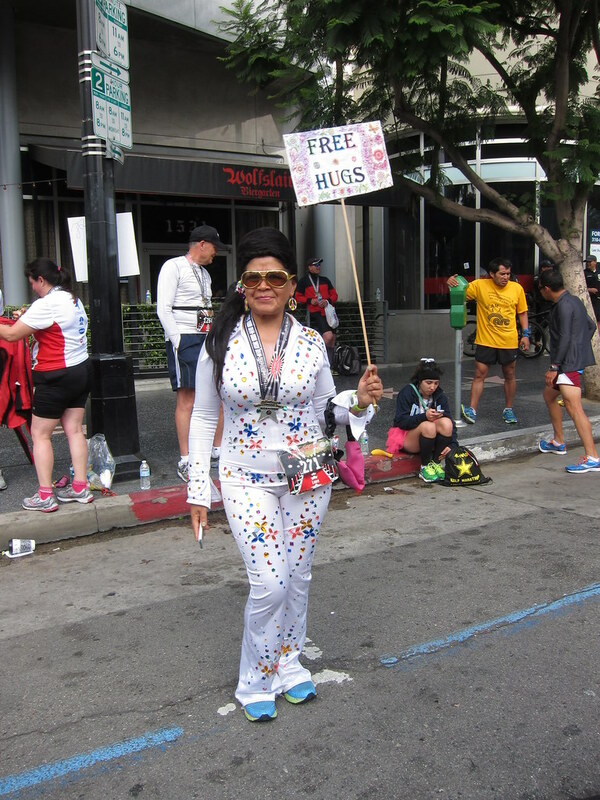 Many runners were dressed in fun costumes. There were many superheroes and even a Joe DiMaggio with a group of Marilyn Monroes. My strategy was to take it easy from the start because I was still congested from a two week old cold. After crossing the Starting Line, I was immediately out of breath and sweating profusely. I somehow managed to run the first mile in 11 minutes but coughing fits forced me to stop running. I was also frustrated that I had to keep blowing my nose. The only thing that kept me going was the knowledge that my friend, Janey, was waiting for me at Mile 2 - if not for her, I would have followed the 5k turn around. I told myself I could manage a 10k. Janey walked with me and kept me company the rest of the race. I even got winded walking the inclines. At around Mile 3, we saw the elites go by. I was disappointed to see Benson and Philemon trailing Alene Reta. After I crossed the Finish Line, I met up with Benson. He'd finished in 3rd place, Philemon 2nd, and Alene had won. 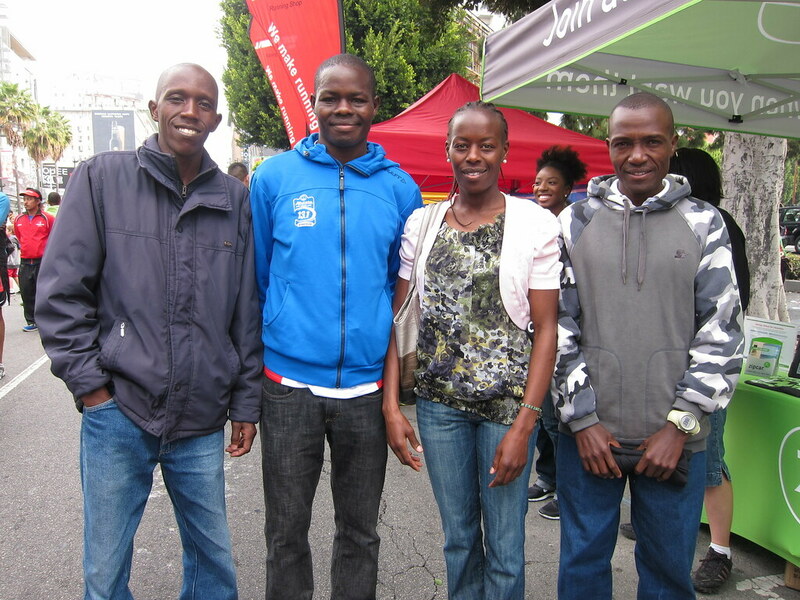 Their friend, Everlyne Lagat, had come in 1st for the women. We hung out with the other Kenyan athletes and enjoyed the live post-race entertainment while we waited for the awards ceremony. T-shirts, hats, and jackets were tossed out to the crowd. I was thrilled to get one of the red Hollywood Half Marathon running jackets. Race award ceremonies rarely start on time so we were grateful that we didn't have to wait that long for it to begin. 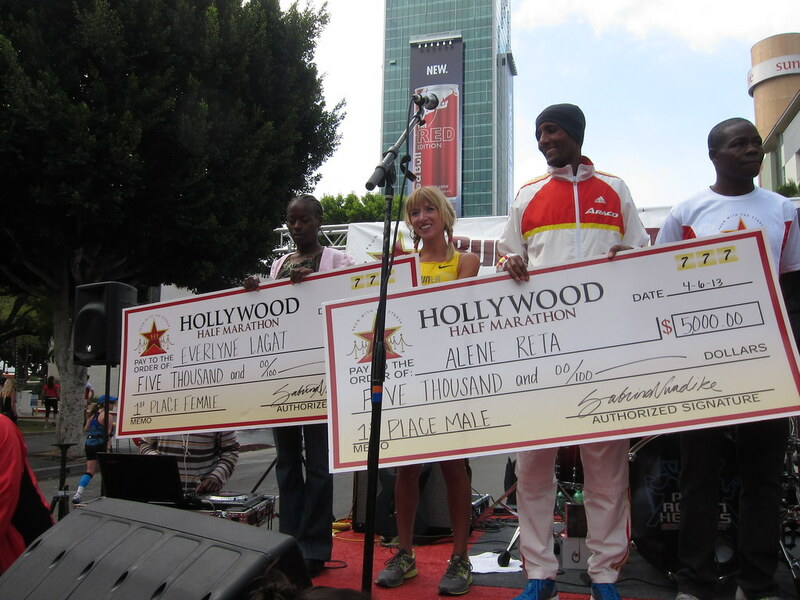 The race directors, Ken and Sabrina Nwadike, presented the awards from the generous prize purse to the top 3 female and male finishers. 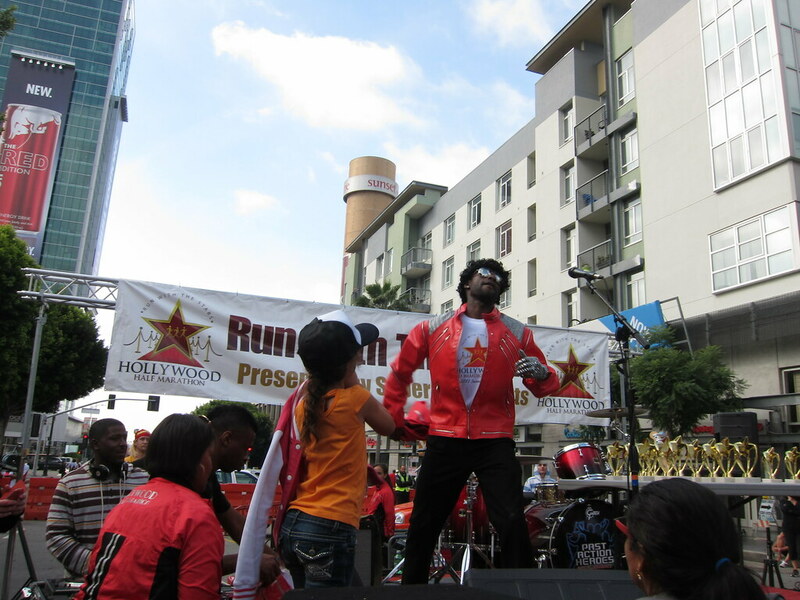 Race director Ken's alter ego, Michael Blackson MoonRunner, made a 'surprise' celebrity appearance to present the age group awards. As a runner, I feel what sets race directors Ken and Sabrina apart from other organizers of comparable-sized events is their level of dedication to the running community. Ken and Sabrina are committed to continuous improvement. 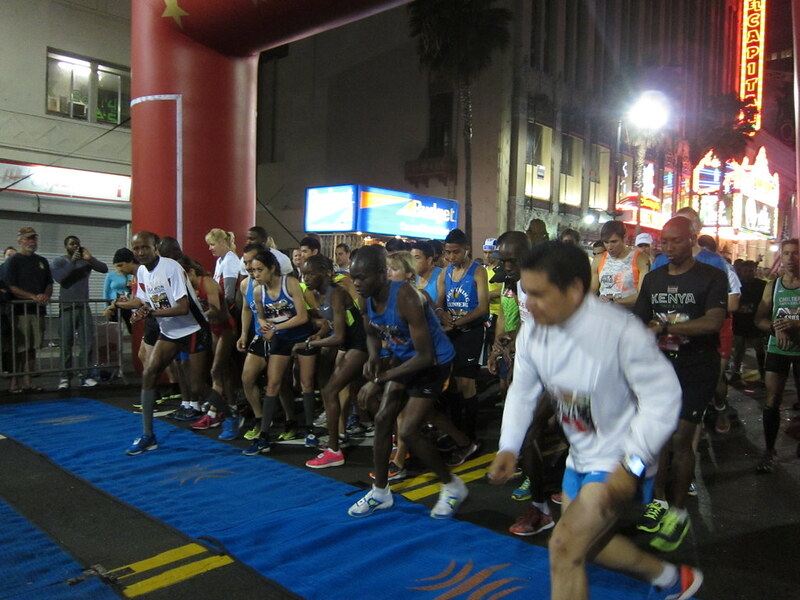 Their events are not only fun and unique but participant feedback is considered and thoughtful touches are included that enhance a runner's overall race experience. I look forward to participating in future Superhero Events. That's so great that you got a jacket. So happy I could help you finish the 10K. I got back in time to motivate my friend Brian at Mile 11. I'll definitely have to run this Half next year! Thank you so much for your support, girl. You made the 10k so much more bearable for me. Yes, I hope to see you there next year! Congrats on another great race! I feel so disconnected with the world, you. I have been a horrible friend. I need to send you a birthday gift and we need to catch up! All I do is work and train. Super fun. Glad you had a great weekend with your friends with a little race. You did it...and you got a cool jacket to boot. Let's chat this weekend if you are free. Call me. I know, girl, we do need to catch up. Time just seems to fly by. I miss you.